Wayne Rooney's sensational free-kick lifted DC United to victory over MLS champions Toronto, while Seattle Sounders qualified for the play-offs. Former Manchester United and England captain Rooney scored from a stunning set-piece as DC defeated Toronto 1-0 to extend their winning streak to four games on Wednesday. 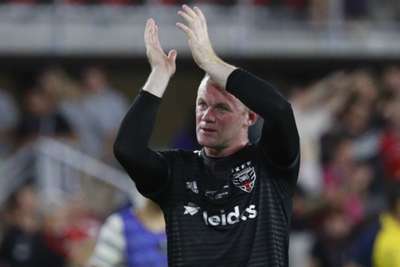 Rooney curled a 35-yard free-kick past Alexander Bono in the 18th minute and that proved to be the difference at Audi Field in Washington. The 32-year-old's memorable effort – his 10th in 18 MLS appearances – further boosted DC's play-off chances, with the capital club four points clear of Montreal Impact in the sixth and final post-season place in the Eastern Conference after 32 rounds. Holders Toronto, meanwhile, are already out of the play-off race with two regular-season matches remaining. Elsewhere, the in-form Sounders beat lowly Orlando City 2-1 to clinch qualification for the play-offs. Quick-fire goals from Victor Rodriguez and Handwalla Bwana in the first half ensured Seattle advanced to the play-offs for a 10th consecutive season. Sporting Kansas City returned to second in the Western Conference with a 4-1 rout of Vancouver Whitecaps – all four of the visitors' goals scored in the second half.